Last week we told you about a new Android game by the name of Punch Quest, and as promised we’re back this week with a full review of the game. It’s one of the vaguer reviews you’ll see me do as there are some surprises I don’t want to spoil, but I will say you’re in for one strange trip when you enter the wonderful world of Punch Quest. The premise behind Punch Quest is simple. Punch to kill things, and stay alive as long as you can. A jab will send your enemies backwards while increasing your speed. An uppercut slam will throw your enemies into the air, but will slow you down somewhat. You can also block attacks by pressing both buttons at once, but if you’re like me you’ll rarely use it at first. 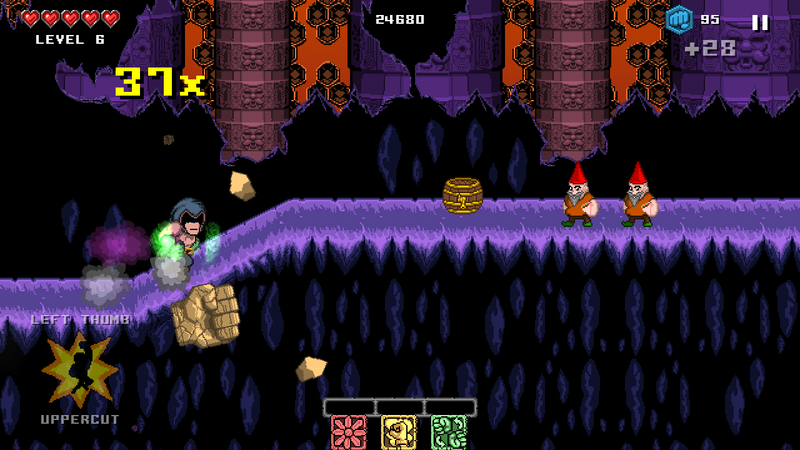 That being said, blocking is an essential skill if you want to stay alive long in Punch Quest. The game play is extremely easy to pick up on, but there’s quite a bit of strategy involved once you start figuring things out. You can punch through anything, but if you punch too much you’ll run too fast which makes punch-jumping over spikes and flames difficult. Once you start unlocking new moves, it really changes the game as you can string together some nasty combos that will send your enemies flying across the screen. It’s interesting as you can play the game at full-speed or slow things down to a crawl and take a more strategic approach to things. Punch Quest may be a two-button endless runner of sorts, but there’s plenty of depth when you take into account the quests and unlocks. You’ll get three quests per run, and they’ll range from simple tasks like smashing 5 torches to tougher quests like defeating a Boss or killing 50 zombies. This is how you earn money to unlock punches, boosts, and upgrades. All the unlocks are purchased with “Punchos” which is the games form of in-app currency; you don’t have to buy them, but you’ll certainly want to as there are some game changing skills to be had. The unlocks span six different categories including Power Skills, Super Moves, Customize, Boosts, and Upgrades. There are around 33 additional moves you can unlock while the Boosts & Upgrade section gives you power-ups to help extend your run. 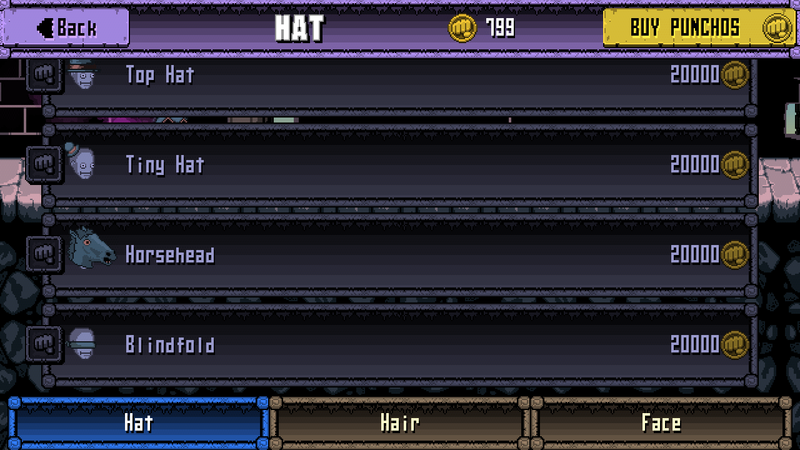 The customize section lets you change the look of your Punch Drunk hero through the use of hats. There are a lot of cool hats, hoods, and heads to unlock; you can also change the color of your character along with the colors of their costume. Everything costs though, so be frugal with your Punchos. Punch Quest also has in-depth stat tracking which is a nice touch and very cool if you dig stats. 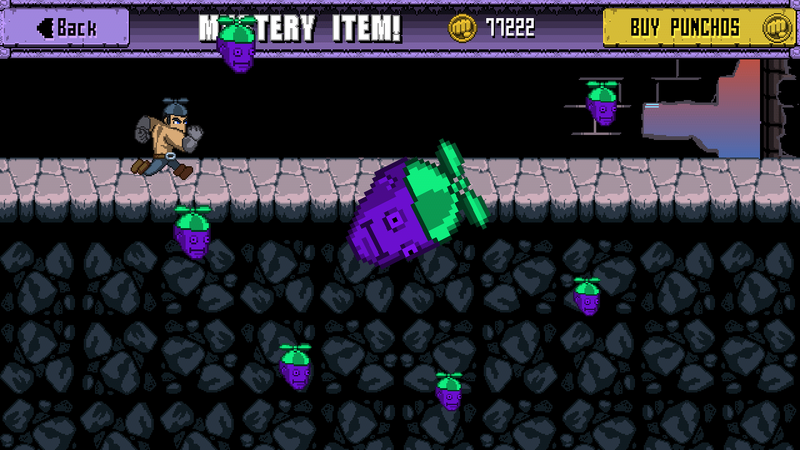 The game tracks everything from how many bats you’ve killed to how many torches you’ve broken, and total time played. It’s impressive, and it’s nice to know that in 48 games I’ve managed to kill 653 bats, 528 zombies, and have spent around a third of my time airborne. 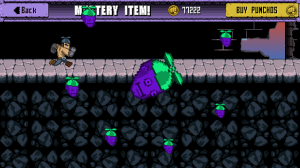 Punch Quest is one of those rare games that’s a “must have” for anyone with a mobile device. 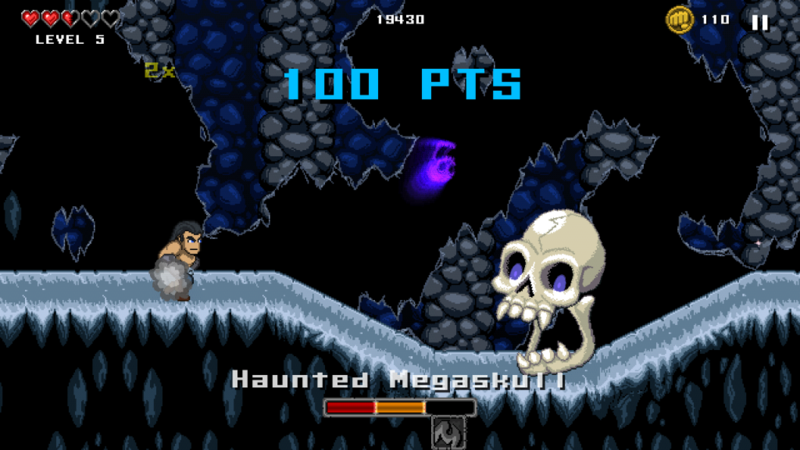 It’s fast-paced retro fighting game, and it is very hard to put down once you get going. It’s one of those games that makes you lose track of time and makes you late for things as you just keep going back for one more go. As mentioned, there are plenty of surprises in store for you along the way. We won’t spoil anything, but we promise there are several fun “WTF” moments. The iOS version of Punch Quest was free with an unobtrusive IAP setup while the Android version has gone the opposite route. You’ll earn plenty of Punchos through playing, and can buy several coin packages if you want to get ahead in the game. While I don’t have a problem with coin packages in paid games, it was a little disappointing to see the Punchos Doubler upgrade being sold as a separate $2.99 purchase. 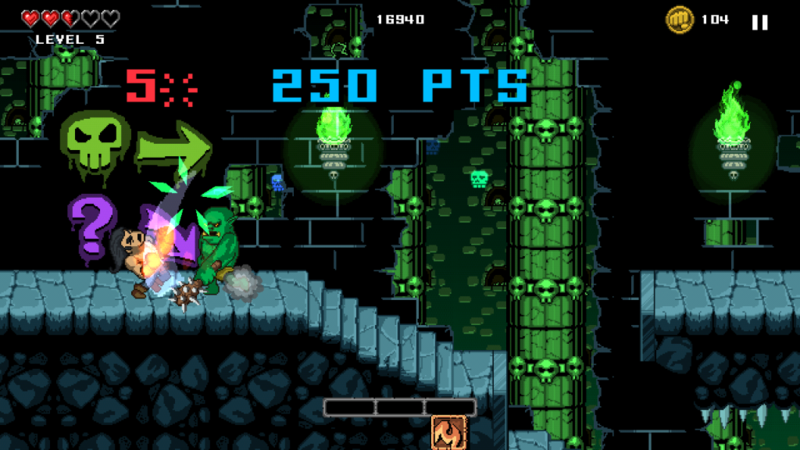 Believe the hype (and the ratings) as Punch Quest is an excellent game that we highly recommend checking out. Kudos to Rocketcat Games and Madgarden for bringing the game to life, and a big thanks goes out to Noodlecake for bringing Punch Quest to Android. If you’re ready to check it out, you can head on over to Google Play and pick up Punch Quest for $0.99.